Through the lens of a true story, you'll walk through each step of the PLC journey to discover how one district became a successful and flourishing PLC. Discover how the largest elementary school district in Illinois became a flourishing professional learning community. Youll walk through each step of the PLC journey to learn how the district approached the most vital components of a successful PLC, such as building shared knowledge, forming collaborative teams, and setting priorities. Reduce your own trial and error by using their lessons learned as a road map toward long-lasting change. Follow along closely as District 54 utilizes common formative assessment, establishes systematic intervention and enrichment, administers systemic change, considers effective practices, and more. Read educators' firsthand accounts of the PLC process. 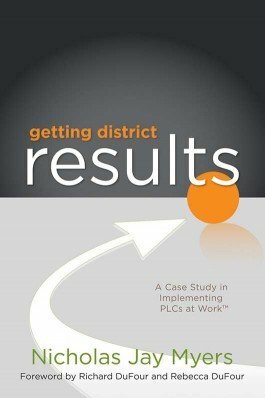 Find replicas of the decision-making and priority-setting documents District 54 used to find PLC success.